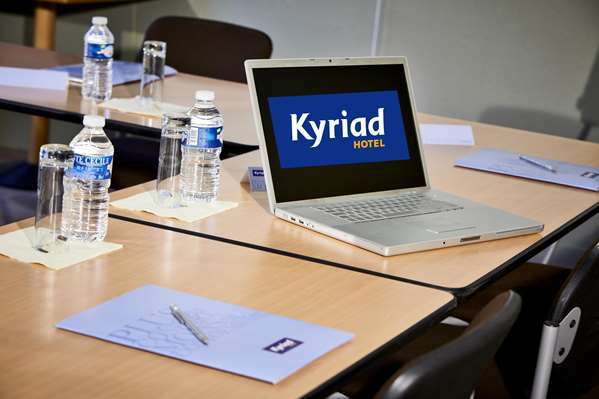 In our modern hotel, every effort is made to make sure you have a pleasant stay. 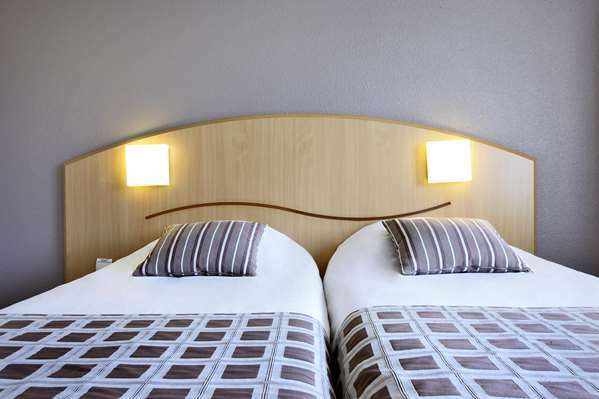 Our hotel is a 10 minute walk from Place de la Comédie and the historic center of Montpellier. It's an ideal starting point from which to visit the historic center, the Fabre Museum, or the zoo. 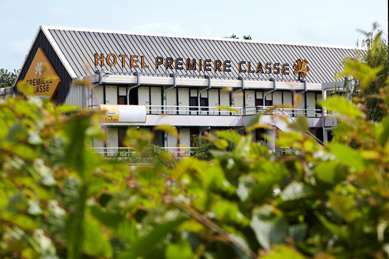 The Odysséum play zone (with aquarium, ice rink and multiplex cinema), the Palais des Congrès convention center, the Corum, the Zénith and the Arena Theater are easily accessible from our hotel. You can enjoy many concerts, shows and sporting events in the area. Take time to discover the Camargue, the beaches of the Languedoc coast, the Cévennes… but also the back country of Montpellier and Pic Saint-Loup with its wine estates, and of course the medieval village of Saint-Guilhem-le-Désert and the gorges of Hérault. Our 3-star hotel is completely non-smoking. 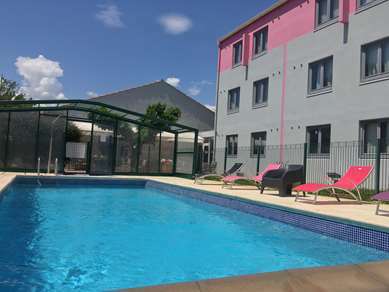 The 82 rooms available for booking are air-conditioned and equipped with free Wi-Fi, high-quality bedding and a private bathroom. 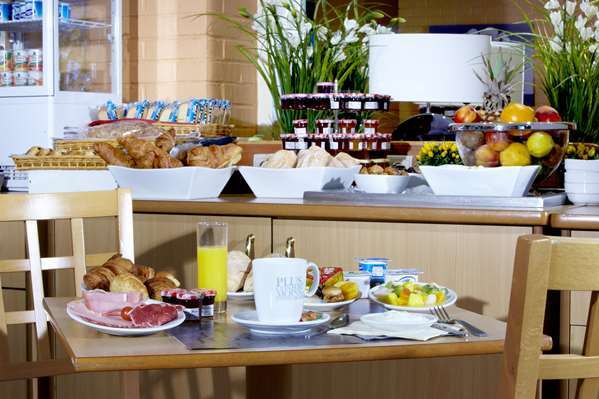 To recharge your batteries in the morning, our hotel offers a full all-you-can-eat breakfast buffet. 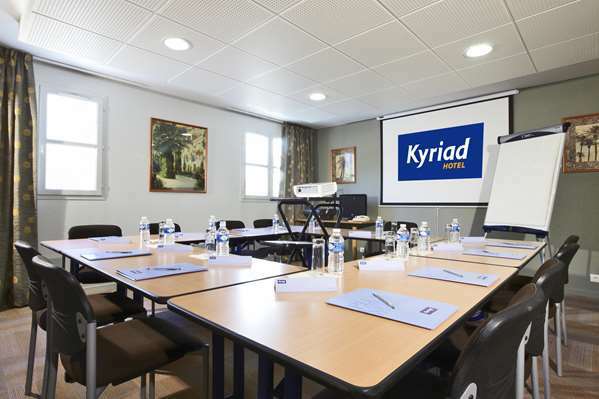 For your seminars, out hotel offers equipped meeting rooms. The parking lot is covered and secure, and is at your disposal for a fee. 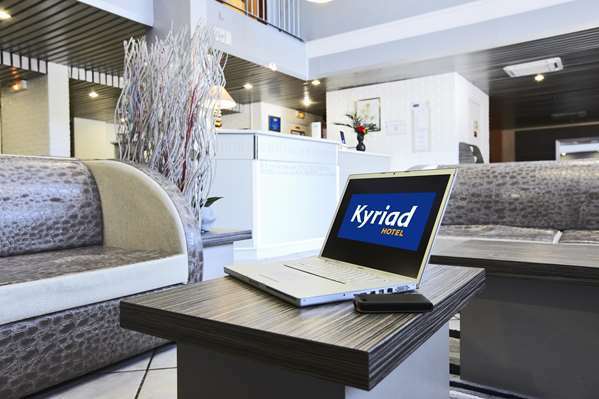 You can also take advantage of our exclusive Wi-Fi+ service: a free high speed broadband connection throughout the hotel where you can freely surf, chat and watch videos. 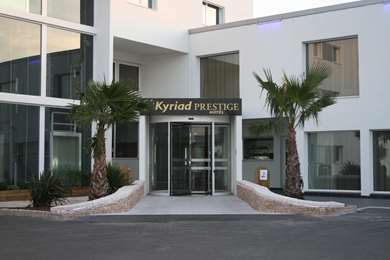 Hotel Kyriad Montpellier-Centre – Antigone is a non-smoking hotel with 82 air-conditioned rooms. 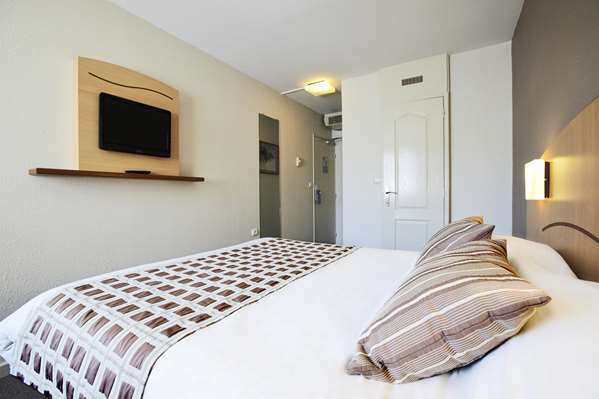 All are equipped with a desk, a telephone and a flat-screen TV with foreign satellite channels and TNT. A courtesy tray awaits you in your room. 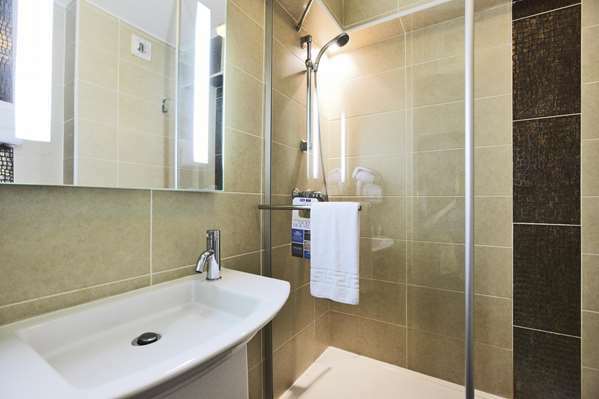 Bathrooms are modern and hair dryer and toiletries are provided. 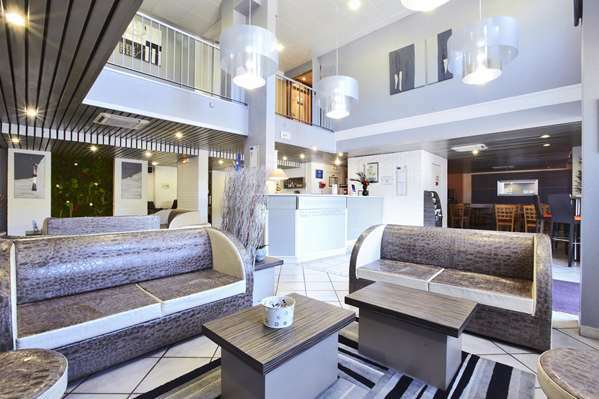 You will have free unlimited Wi-Fi access and a luggage storage area. Pets are not allowed at the hotel. 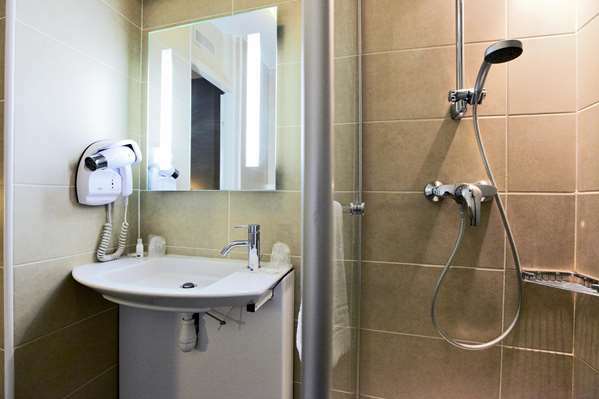 Three rooms are specially adapted to accommodate people with reduced mobility (available on request). 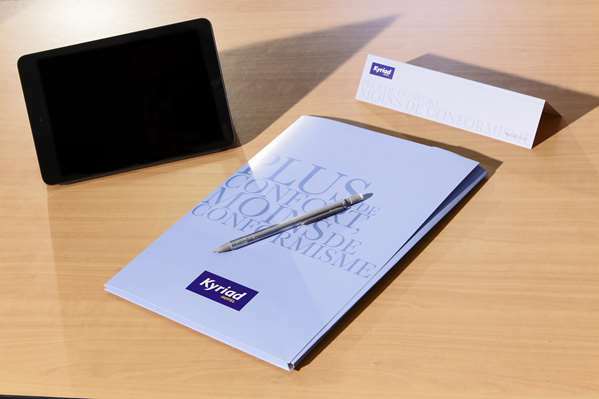 Hotel Kyriad Montpellier-Centre – Antigone offers a full balanced breakfast. 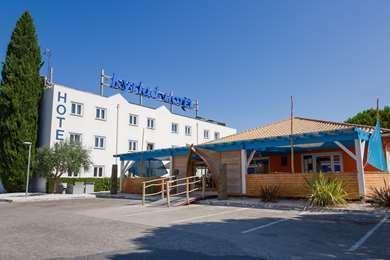 You will find pastries, fruit juices, fruit, dairy products, cereals, a salty buffet and hot drinks. This hotel was suggested by my travel agent. Excellent choice for a 3* hotel. Staff very polite and friendly, helpful and efficient. 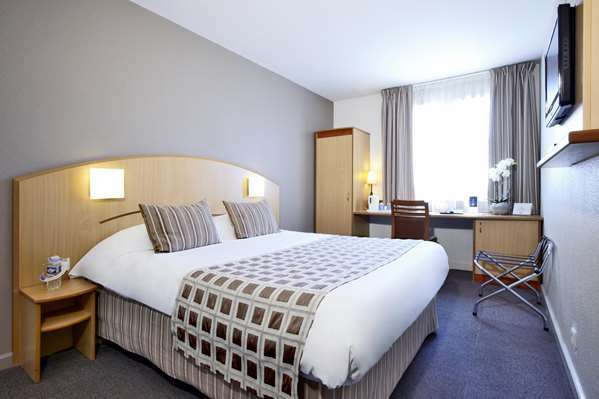 The rooms quite well kept, clean and the bed very comfortable. Everything in proper working order. 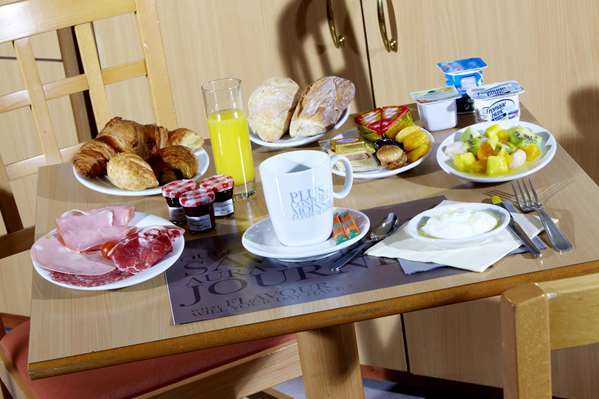 Breakfast is continental but with enough items to choose from to get you going for the day. The tram stop for tram 1, is just around the corner. Maybe 10-15 minutes walk to Place de la Comedie. A 5 minute walk to the Polygone commercial center with lots of shops and cafes. Highly recommend and would definitely stay again. 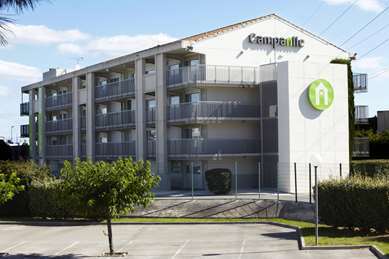 The hotel was suggested to us as part of an easyJet holiday package. I didn't have great expectations (knowing that easyJet is a budget airline) but was very pleasantly surprised. Our room was clean and quiet, the front-desk staff friendly and helpful and the hotel located close to many points of interest. We even discovered a great student-run restaurant (part of a school of hospitality and culinary arts) close to the hotel, with a wonderful prix fixe menu. We had two lovely meals there. 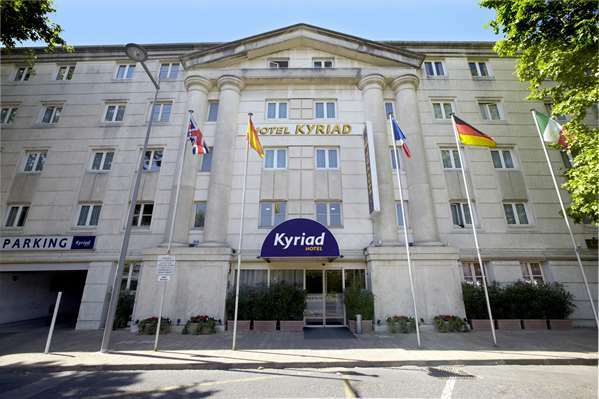 We loved Montpellier, and staying at the Kyriad made it all the more memorable. Félicitations et remerciements au personnel de l’hôtel pour leur excellent service ! Thank you for your comments. We are pleased that you enjoyed your stay in our hotel. I stayed here for three nights in September 2018. I found it very peaceful and comfortable, and slept really well! 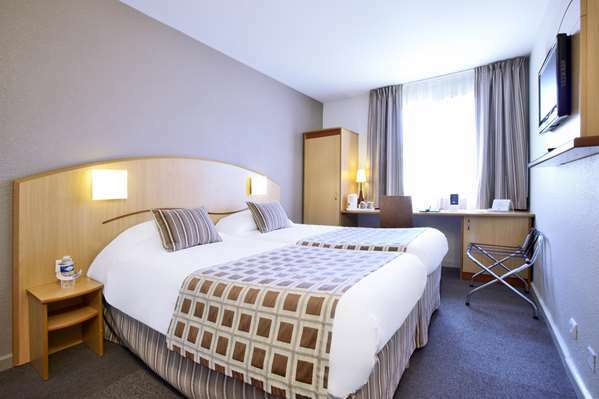 The hotel is as you would expect from a large chain - the decor is a bit bland, but the rooms are clean and well-equipped with a decent tv, kettle, hair-dryer etc. I found the reception staff very friendly and helpful, and the breakfast is fine (but not amazing). 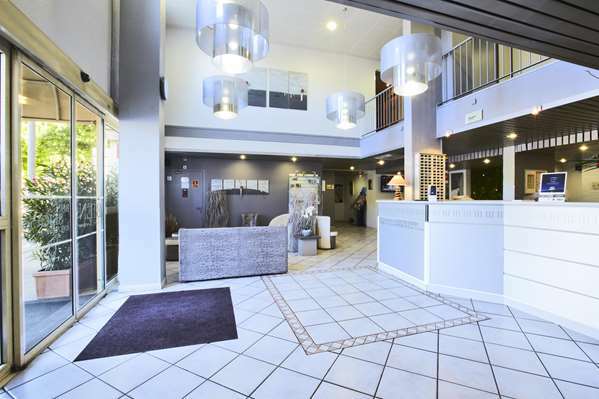 The location is pretty good - an easy walk into town and to the train station, and close to a tram stop. This place is in a drab street but it is only five minutes from the final stop of the airport bus, it’s handy for Tram 1, and only about 15 minutes walk to the Place de la Comedie. 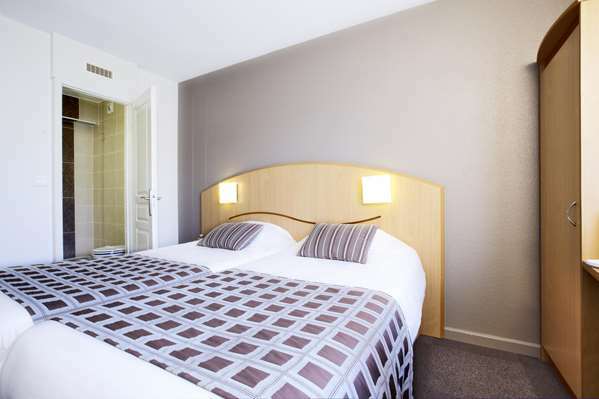 Hotels in this city are on the pricey side but we got nice double rooms for €92. Breakfast for €11 was very good value. 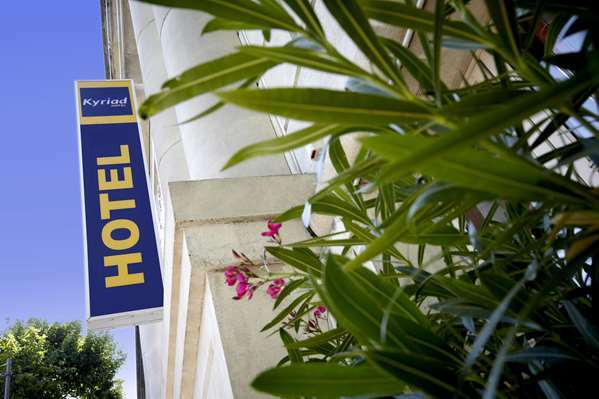 The hotel is situated near Antigone and from a walking distance of the Old City. 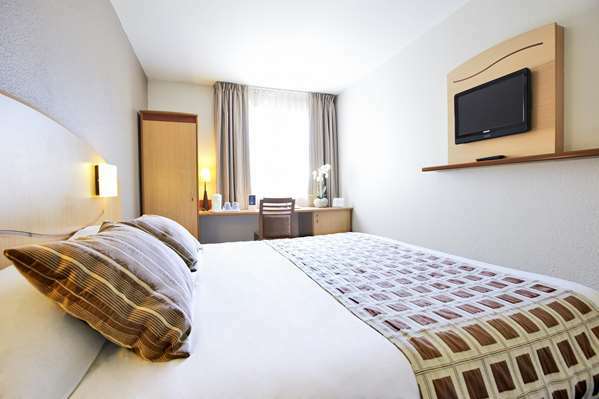 It is not a large hotel with fancy front desk or diverse facilities but gave an homely impression. Our room situated in the first floor. It was rather small but the bed was good. Only one chair and very little space for the luggage for two persons. The room was very tidy and kept so during our three day visit. Breakfast was included.